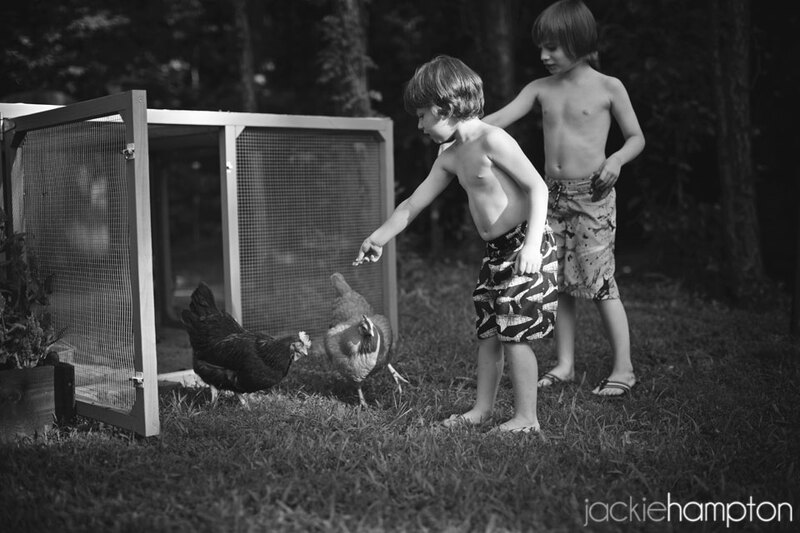 The boys are less involved with the chicken’s maintenance than I originally thought they would be. Somewhere in the less realistic part of my mind I envisioned them happily collecting eggs at sunrise dressed in little overalls and yellow boots. Okay, maybe the overalls was a bit of a stretch, but I thought we could at least manage the boots. It hasn’t really turned out the way I thought. Mostly because I derive a lot of satisfaction from taking care of the chickens myself. There’s something really cool about giving to them and taking what they give in return. The awesomeness hasn’t worn off yet and I haven’t made as much of an effort to turn them over. 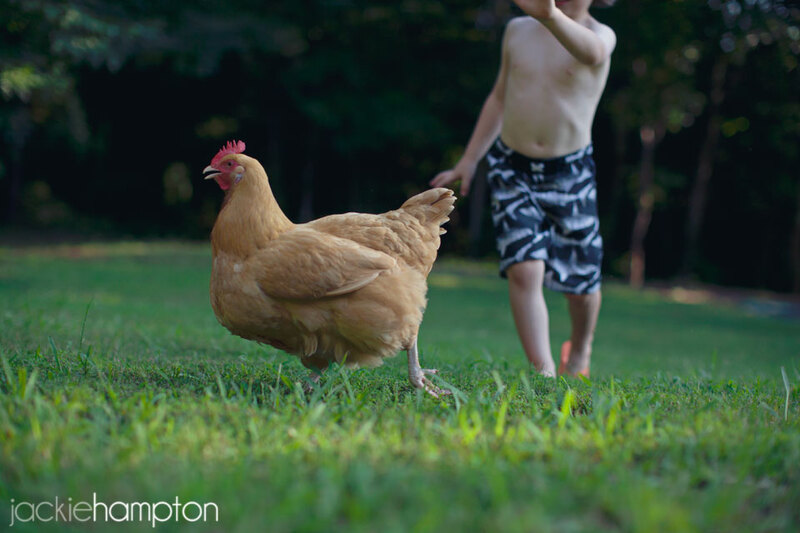 In the hopes of one day making them completely responsible for the chickens, I do try to get the boys involved whenever possible with the jobs that are less dirty. 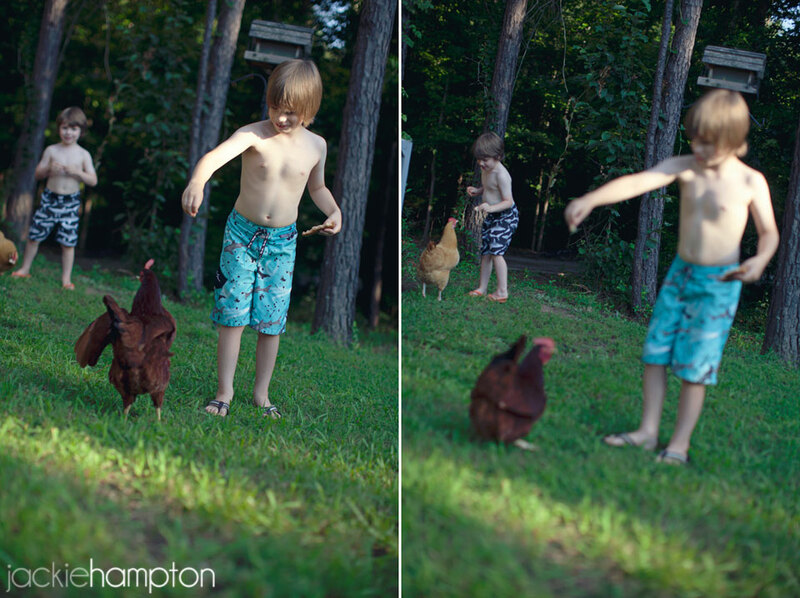 I’m finding Jackson likes the chickens well enough, but Jonathan is nothing short of enamored. 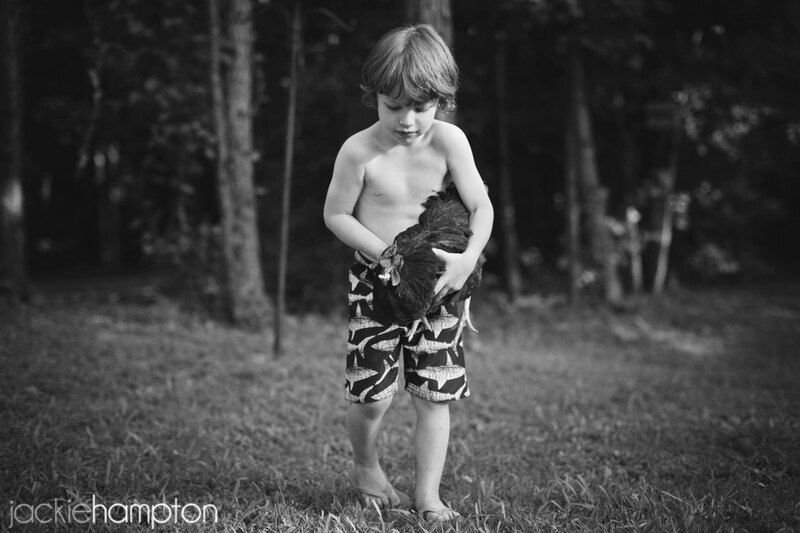 Whenever he’s out in the yard, he has a chicken in his arms. This is the kid who is usually very unsure about new pets, and the one who screamed for three days after I brought Tucker home. Naturally, I’m surprised whenever he shows this much initiative with an animal. 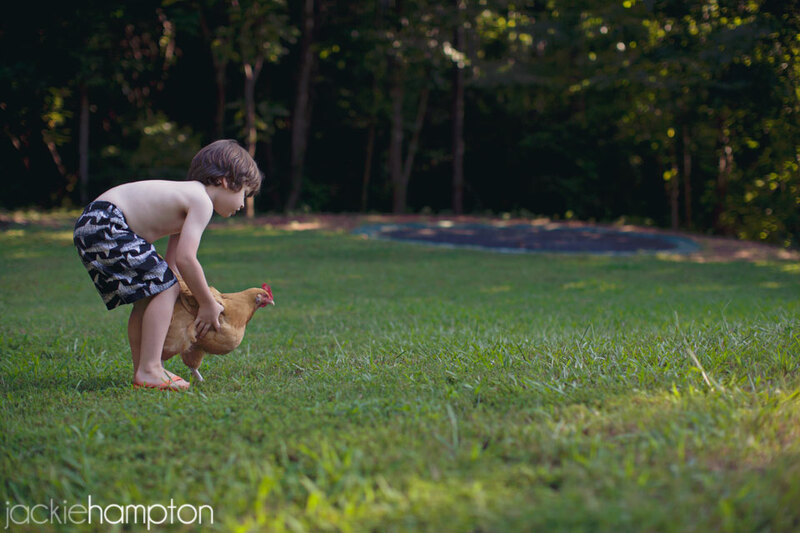 Especially considering how difficult the chickens make it for him to catch them. Eventually he always coaxes them to a halt and then he scoops them up. 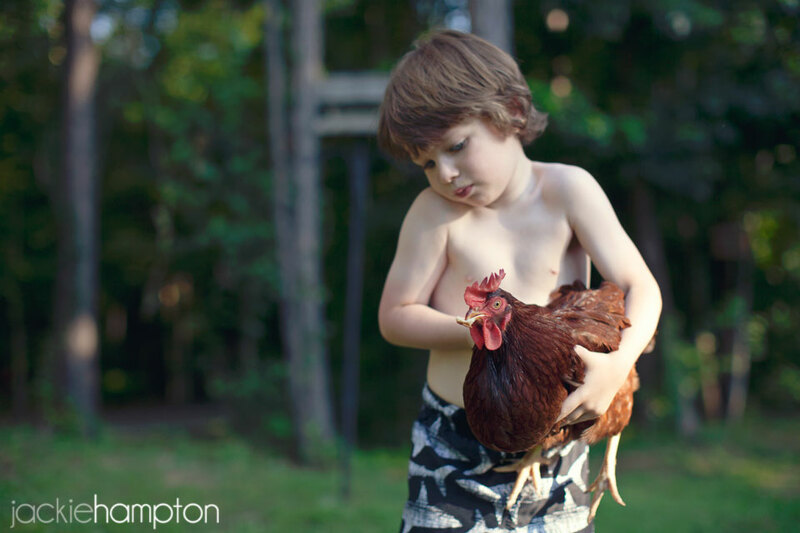 Just call him the chicken whisperer.